Above is an epic video which shows the early steps of MSC Meraviglia’s construction. We get to see certain elements and blocks of the vessel coming together at the STX France shipyard in St. Nazaire, France. 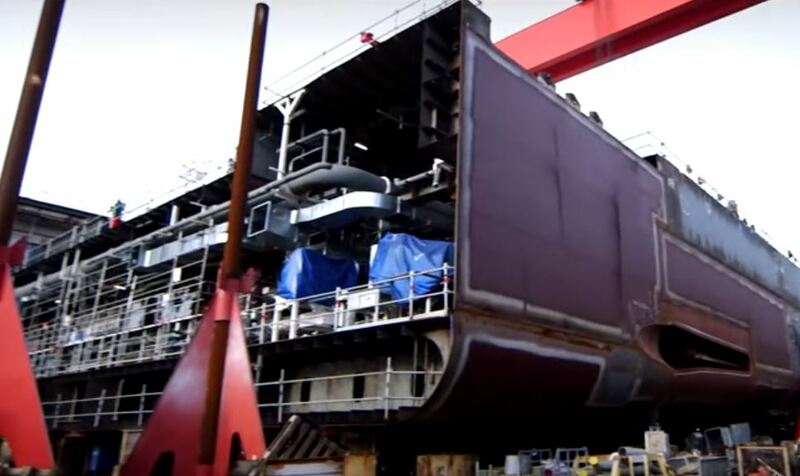 The video teases us with some ship facts, Meraviglia has 35,000 tons of steel, more than 300,000 steel parts, 1,500 km of cable, 100 km of ventilation trunks, more 200 km of pipes, 80,000 lighting points, 4,200 m2 of galleys, 2,200 m2 of cold rooms and 300,000 litres of paint. In addition to all those facts the MSC ship will be 167,700 gross tons and carry 4,500 passengers. the ship is well underway in construction but there are still many major milestones to come. Just recently the cruise line and shipyard held a coin ceremony where MSC Cruises also announced news of two Meraviglia Plus class ships. MSC Meraviglia will be completed in June 2017 and will become the cruise lines largest cruise ship. If you want to see what the ship will look like then watch this breathtaking video rendering.